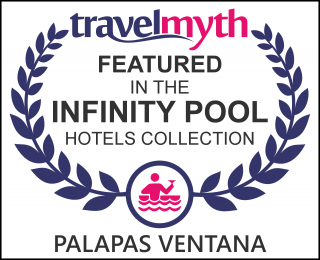 Palapas Ventana is owned by the mother and son team of Tim & Karon Hatler. Meet our dedicated staff who work hard to provide you with the best experience possible, then come visit and become part of our Baja family! Growing up in the San Francisco Bay Area and graduating from UCSB, Tim took his love for watersports, marine science, boats, and Mexican culture and created Palapas Ventana in 2003. He captains our liveaboards, plans international Palapas voyages, and monitors all Baja conditions to ensure our guests experience the Best of Baja. Karon fell in love with the magic of Mexico several years ago during the Hatler's family trip to Baja for the Christmas holidays. That trip became a family tradition every year after, and the friendly culture and climate of the La Ventana area are the reasons Karon decided to live here. Karon loves to snorkel, hike, SUP, read, garden, and play the violin. She also really enjoys meeting people and making sure our clients have "The Best of Baja" experience. Brocko is from northern California. He has an extensive backround in spearfishing and boating. He loves the ocean and is always ready to help answer your questions and get you out on the sea. No matter what he will put you on fish!!! Coming all the way from Paris, Mael came to Palapas Ventana as a volunteer - but life at sea suited him so well, he stayed with us and became a star guide. Mael studied business and worked in marketing before arriving to Baja. Now he is a great freediver and spearo. You will see him arriving on his motorcycle every morning, always wearing a big smile and ready to help our guests enjoy their trips to the fullest. After graduating from University in La Paz, Israel decided to make a career here in his own town - He is fluent in english, excellent on the computer and accounting work, and is always at the restaurant to help clients get what they need!! He makes a mean Latte!! Israel has been with us for 9 years and is the nerve center for Palapas Ventana - if you need information or something during your stay - he is the man to see! Yuli Catalina Iglesias Soberanis is from La Paz. She has worked in her family's shrimp distribution company, has owned a restaurant on the Malecon in La Paz and has many years of experience in the hotel, bar and food service business. She is the consummate hostess. Yuli loves to fish and spend time boating on the Sea of Cortez with her fourteen year old son Clark and her husband, Jon and has two Chihuahuas named Capuchino and Carita. Diana was born in Mexico City, but her love of the ocean made her move to the Caribbean side of the country, where she learned to kite-surf. Her passion for this sport and the sea brought her here to the small town of La Ventana. She has been working in the tourism industry for the last 14 years and her expertise will smoothly guide you through the process of booking your stay with us, or a kite lesson, SCUBA adventure and much more! Ana studied Communications in Mexico City. She was born and raised there, but decided to come to Baja and fulfill her dream of living near the sea (and not just any sea, but the Sea of Cortez!!!). She came to learn water sports and witness and photograph the wonders of Baja with us. She will be happy to help you with your booking and questions, as well as share our every day adventures in Palpas Ventana through our social media. Some say he came from another planet to show you the Best of Baja. Tanino "El Spyder" was a shark fisherman for 20 years and is now our specialist in Panga and facility maintenance. He works hard and enjoys time off at the beach with his family in El Sargento. Estrella is from La Ventana, and loves to cook. She's very friendly and outgoing, and is always singing while in the kitchen. She's the mother of 2 beautiful girls. Daniela is a La Ventana native and our superstar housekeeper, always seen with a big smile. Lucero was born in La Paz and now lives in Los Planes. She has two kids (a 15 year old boy and a 9 year old girl) and loves to take care of her garden. You will find her working very hard with Daniela, always supporting the rest of the crew to make our clients as happy as possible! Born and raised in El Sargento, Yoni studied English in La Paz and now is applying his skills at Palapas Ventana. He is an excellent Panga Captain, Kite launcher, maintenance man, and backhoe driver. Yoni has a winning smile and likes to freedive!! He has a son and is also learning to kiteboard. Chuy's commercial fishing background has made him a fantastic fishing and diving captain. He also keeps Palapas Ventana maintained so your stay with us is comfortable - From launching and landing kites to fileting fish - Chuy does it all with pride. Chuy has a baby boy and is learning to kiteboard himself and has been with us for 4 years. This mexican mutt is ready to lick anyone to death!!! Just as long as it doesn't interrupt her rigorous schedule in paradise as she swims, naps, eats, and repeats... she is ready to give you a wet bienvenidos kiss, lead you on a stroll down our beach, and make your stay with us feel like home. Our newest addition the family. Vela keeps everyone on their toes. She loves to run, chase birds and swim. Did I mention that she loves to run, chase birds and swim?